Safety Data Sheets, abbreviated to SDS, are a requirement of OSHA’s Hazard Communication Standard for communication important information about a chemical. Chemical manufacturers, distributors, and importers must provide an SDS for each hazardous substance that is sent out. Prior to OSHA’s alignment with the Globally Harmonized System of Classification and Labeling of Chemicals, the required documentation was MSDS, or Material Safety Data Sheets. The goal of an MSDS is the same as an SDS, but the HazCom revision standardized the formatting and contents of the document. Identification: Lists the product identifier or other common names used for the chemical as well as contact information for the manufacturer or importer of the substance. Hazard Identification: Includes all the necessary information found on a GHS label such as the appropriate signal word, hazard pictograms, a precautionary statement, etc. Ingredients and Composition: A breakdown of all the ingredients in the substance or mixture (including trade secrets). First-Aid Measures: Details the care that must be taken in the event an individual is exposed to the chemical. Fire-Fighting Measures: Recommendations for extinguishing fires caused by the hazardous chemical and the possible impact. Accidental Release Measures: Instructions for containment and clean-up procedures as a response to a spill or leak. Storage and Handling: Includes comprehensive guidelines for storing and handling the substance safely. Exposure Controls and PPE: Indicates the chemical’s exposure limits as well as recommended engineering controls and PPE that can be used to minimize exposure. Physical and Chemical Properties: Includes detailed information about the chemical’s characteristics. Stability and Reactivity: In addition to the chemical stability information, possible hazardous reactions are also included. Toxicological Info: Identifies health effects, how workers will most likely be exposed, description of symptoms associated with exposure, etc. Ecological Info: Information about the possible impact the chemical or mixture can have on the environment. Disposal Info: Provides guidance on how to properly dispose of the substance and includes information on appropriate disposal containers, recommended methods, and more. Transport Considerations: Lists the UN classification information that would be needed for shipping and transporting the chemical. Regulatory Info: Any regulations that were not already mentioned in the SDS are listed in this section. Other: The date the SDS was created and its last known revision as well as any other information considered necessary that was not listed in the previous sections. It should be noted that sections 12 through 15 are considered non-mandatory and OSHA does not enforce this information but including it will help to maintain consistency with GHS. 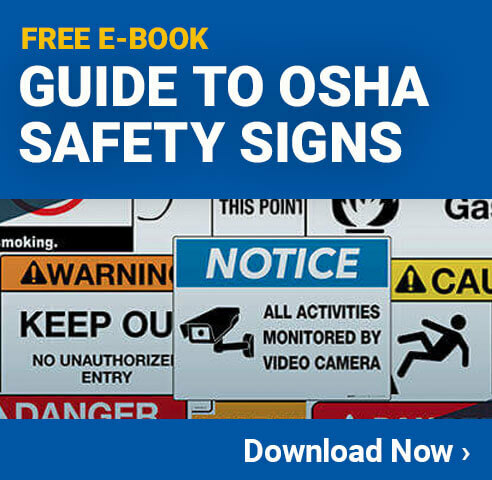 OSHA also requires employers to make their Safety Data Sheets easily accessible. This can mean physical copies are kept in a binder in a central location or electronic copies are kept on a computer that can be accessed by anyone.